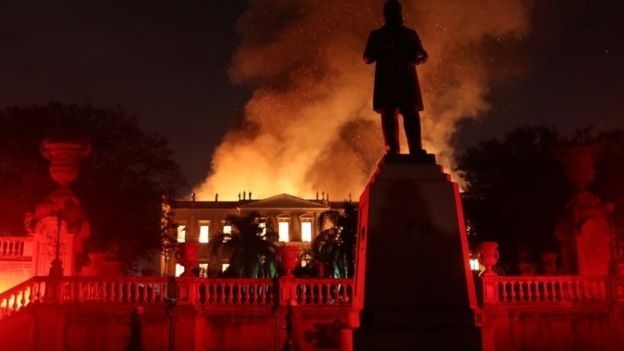 AKIPRESS.COM - A huge fire has engulfed the National Museum of Brazil in Rio de Janeiro, the oldest scientific institution in the country, BBCreports. There have so far been no reports of any injuries in Sunday's fire. Aerial images broadcast on Brazilian television showed how the fire, which started in the evening after the facility had closed for the day, had spread throughout the building.